Independent councillor for Lower Deeside, Marie Boulton, has endorsed the Scottish Conservative candidate, who is aiming to unseat the SNP's Callum McCaig. 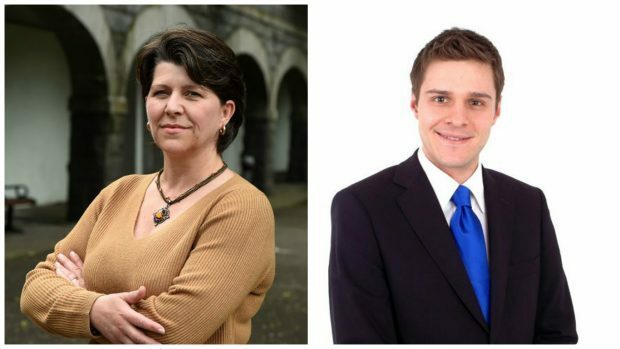 Aberdeen City Council’s former deputy leader has backed Ross Thomson for Aberdeen South MP. Independent councillor for Lower Deeside, Marie Boulton, has endorsed the Scottish Conservative candidate, who is aiming to unseat the SNP’s Callum McCaig. She said: “I’ll be voting for Ross Thomson in the general election because I think he is the candidate that can help stop a second independence referendum. Ms Boulton worked alongside Mr Thomson and Mr McCaig at the council after she was elected in 2012. She said: “I’ve known Ross for several years now. He’s been a very hard-working and effective councillor and MSP and has stood up for local people affected by the AWPR works and businesses hit by rates rises. Mr Thomson, who served as ward councillor for Hazlehead, Ashley and Queen’s Cross and is currently a north-east MSP said: “I’m very pleased to have the endorsement of Marie, who has been a strong advocate for her Lower Deeside ward. “Aberdeen South voted No in 2014 and the vast majority are not interested in a re-run. “This area has been through a very difficult period due to the downturn in oil and gas, and businesses have suffered because of the high tax agenda of the SNP in Holyrood. “People want to see their MP standing up for this area, not pursuing the break-up of the UK. SNP candidate for Aberdeen South Callum McCaig said the endorsement was no surprise and was scathing about Ms Boulton’s performance in the former city administration. He said: “It’s hardly surprising two people who spent five years tarnishing the reputation of this city are on the same sheet when it comes to the general election. “Marie Boulton’s tunnel vision did more damage to the reputation of this city over the past five years than just about any other previous administration councillor.